Gilson’s private-label holiday hot sauces were a central part of the 2018 marketing campaign. 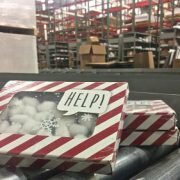 What started as a conversation about how to ease the pressure on our internal production staff during the busy holiday season turned into one of our most successful – and economical! – marketing campaigns. Read more about how a fictitious sauce brand transformed Gilson’s sales model in our latest case study. 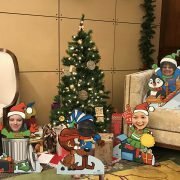 Those familiar with Gilson may have seen the byproduct of our recent holiday campaigns around town in the form of tiny personalized cardboard elves. (If not, you can read more about it here.) As another record-breaking campaign came to a close in December of 2017, conversations turned towards how we could improve. The primary driver of this process-improvement conversation was the hope of eliminating some of the internal pressure on our production staff during what is already one of our busiest times of year. Our customers trust us to handle their most challenging, most time-sensitive, most complex print-on-demand and fulfillment projects – and yet our marketing campaign was an annual source of pain for our internal workflow. The nature of the project did not lend itself to automation of any kind, and the chain of custody once the customized elves were produced was a challenge. We sat down to explore what an ideal campaign might look like. 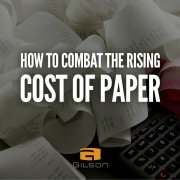 Mindwire® is Gilson’s proprietary B2B e-commerce portal that serves as the single access point for sales and marketing tools such as literature, digital assets and images, wearables and promotional items, manuals and more. 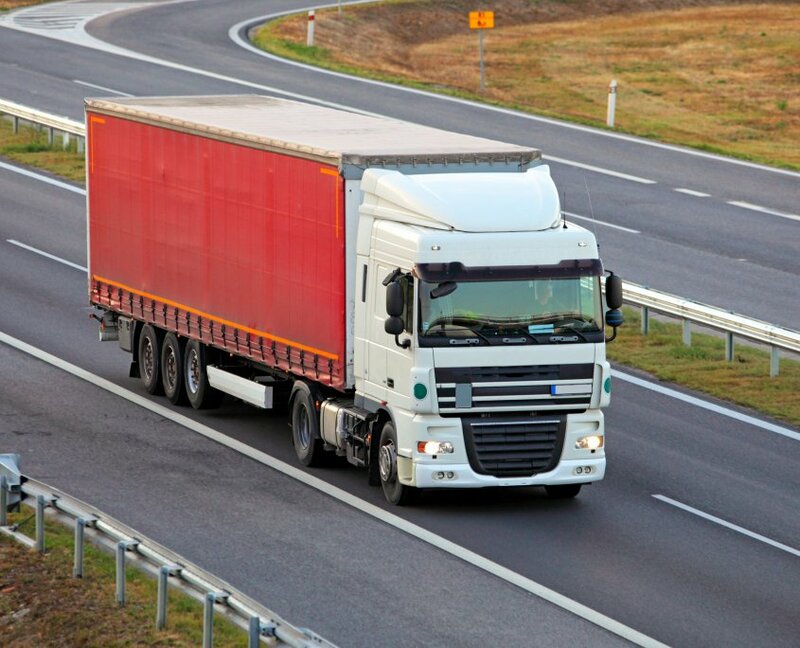 It is completely administrable by the customer, and offers real-time inventory access and reporting. Hundreds of Gilson customers currently use Mindwire in some form or another. 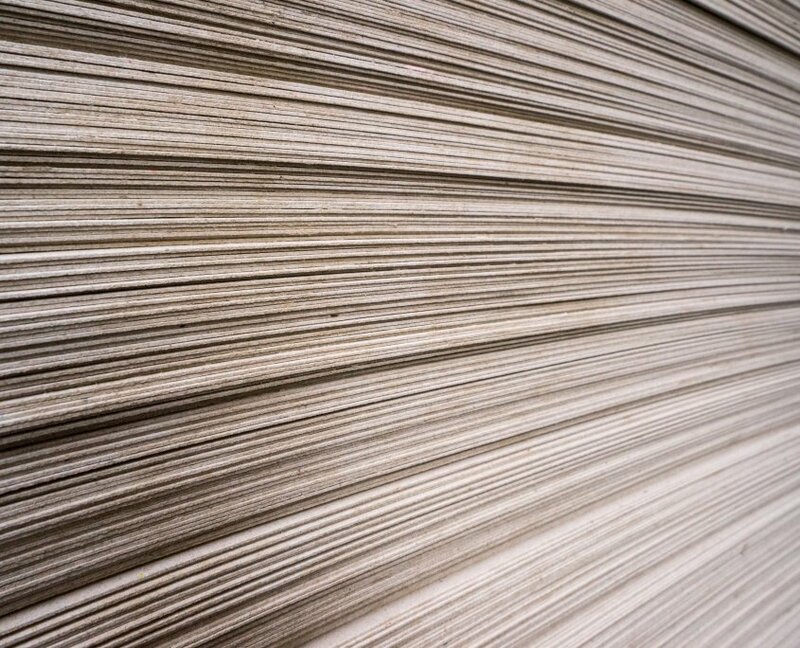 We knew that if we could use Mindwire as the central hub of our marketing campaign, the campaign deliverables would flow through the shop much more smoothly, and also allow us to showcase the tool to our customers with their own customized demonstration experience. 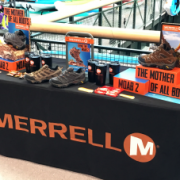 “We had already established that increasing our customer’s exposure to Mindwire® was going to be one of our sales goals for 2018, so deciding early on to use it as a focal point of our next campaign just made sense,” noted Marketing Manager Kim Elmore. Armed with the decision that we wanted to keep our response rates high, but our follow-ups manageable, and also the desire to create a more streamlined campaign fulfillment process, we set to work developing the Gilson Holiday Campaign 2.0: Hot Sauce Edition. In the beginning… there was sauce. If we take a spin in the way-back machine, we’ll find the beginnings of this new sauce-themed holiday campaign stretch all the way back to the early 2000s. The idea of developing a fictitious company that we could use as a demonstration tool for our Mindwire® product never fully got off the ground from an execution standpoint, but plenty of creative groundwork was laid. In 2017, we decided to wipe the dust off the bottle and pick up where we left off – first with a complete brand development exercise for “SAUCEWORX”, an imaginary sauce manufacturer founded in the tiny Pittsburgh neighborhood of Squirrel Hill. The “Sauceworx” branding exercise included typography, color palette, logo and wordmark design, as well as content development and copywriting for each of the fictitious products. All creative was executed by Gilson’s internal creative agency, Tonic. 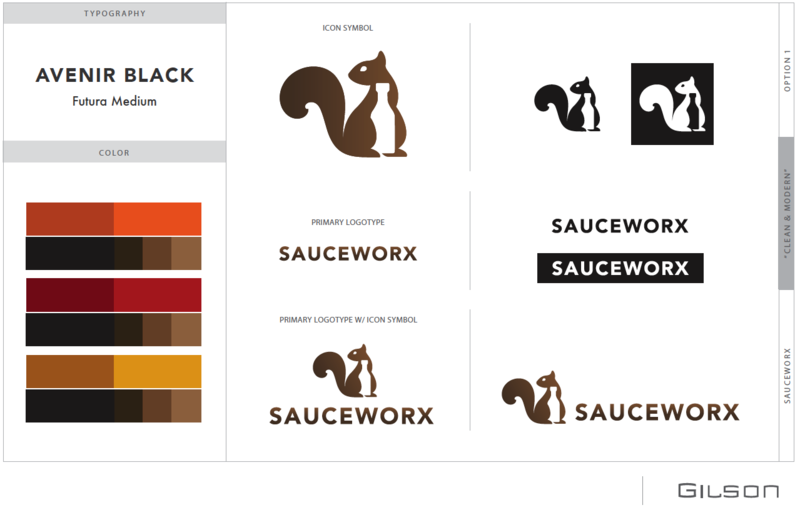 Complete with made-up backstory and a whole new graphic identity, the Sauceworx squirrel icon made its debut on a dedicated consumer-facing website and coordinating Mindwire site, ready to demonstrate all that Mindwire had to offer. Using the Sauceworx Mindwire site as the basis for our holiday promotion was a natural fit. Our team developed limited edition sauce flavors and packaging, complete with gift sets, direct mail pieces, campaign landing pages to capture responses, and more. 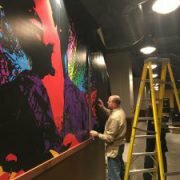 All of the creative elements were completed over the summer, produced in the fall, and ready for deployment just prior to the holidays, spreading the workload over many months and allowing it to be completed during slower production times. The business development team identified a targeted list of companies who could benefit from a Mindwire solution, and then allowed the sales team to hand-pick which individuals at each company should receive the promotion. This precision targeting ensured that the majority of responses would be pre-qualified leads, removing the guesswork on the sales person’s part as to whether or not to follow-up with a sales pitch or just a friendly thank you was required. Recipients of the campaign were driven to a landing page that would capture and confirm their email address, which would be used as their username for accessing the Mindwire demonstration portal. 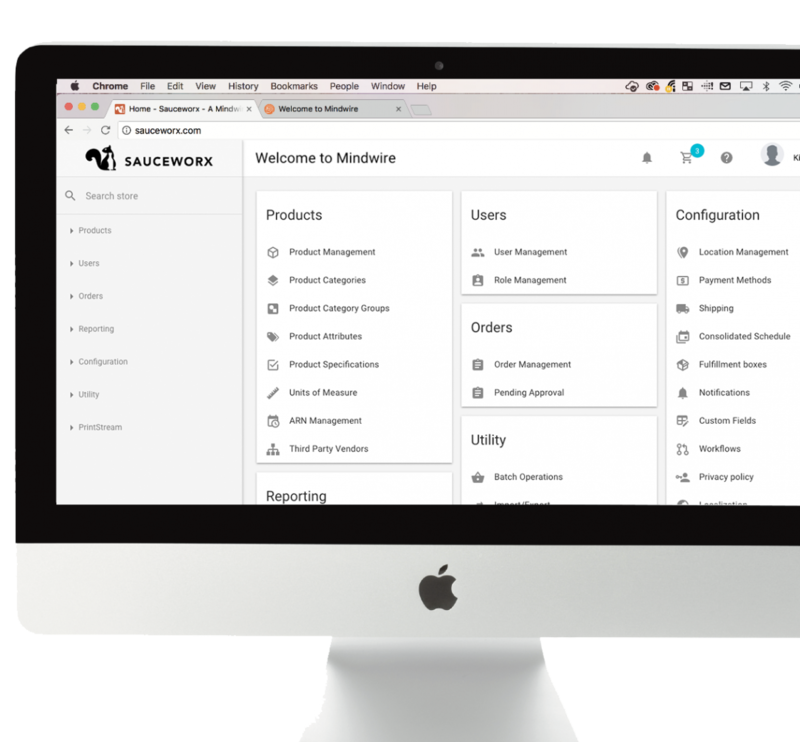 After completing a few steps to set up their password, users were granted access to the holiday-themed Sauceworx Mindwire site and allowed to choose one of three holiday gifts. Once their order was complete, items were picked, packed, and shipped to the location of their choosing – just like any order they would have placed for marketing materials if they had a Mindwire site of their own. Predetermining a realistic response rate was critical to the success of the campaign, since all premiums would be produced in advanced and sitting on warehouse shelves awaiting deployment once ordered. Anticipating too many responses would result in wasted resources on the shelves; underestimating our response rates would have caused us to run out of giveaways before the campaign reached it’s conclusion. Using historical data on previous Gilson holiday campaigns, the marketing team set a goal of a 30% response rate and produced enough giveaways (branded hot sauces, squirrel-shaped desk organizers, and saucy greeting cards) to fulfill all orders should our response rate be around that 30% mark. Within 2 days of the first mailed touchpoint, the campaign had already received an impressive 15% response rate. As a result, we decided to eliminate a few of the emailed touch points so as not to exceed our goal and run out of giveaways prematurely. At the conclusion of the 30-day campaign, 42% of all recipients had visited their personalized landing page. Of those, 73% went on to complete the Mindwire® demonstration and requested their free gift for an overall redemption rate of 30.4%. 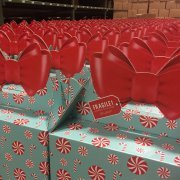 The result was a successful holiday campaign that caused minimal disruption to Gilson’s existing production workflow, demonstrated our creative, production, and fulfillment capabilities, and yielded a pool of strong, qualified Mindwire® leads for our sales staff to pursue. All of this was conducted on a fixed budget and timeline, allowing us to more accurately account for our ROI. If your marketing strategy isn’t yielding the qualified leads you seek, give us a call for a complimentary consultation and brainstorming session. We’d be happy to share our secret sauce with you. Also, if Mindwire has piqued your interest, you can learn more or request a demonstration by visiting www.sauceworx.com, www.mymindwire.com, or contacting your Gilson account representative. Sales are up. Your marketing campaigns have double-digit response rates. 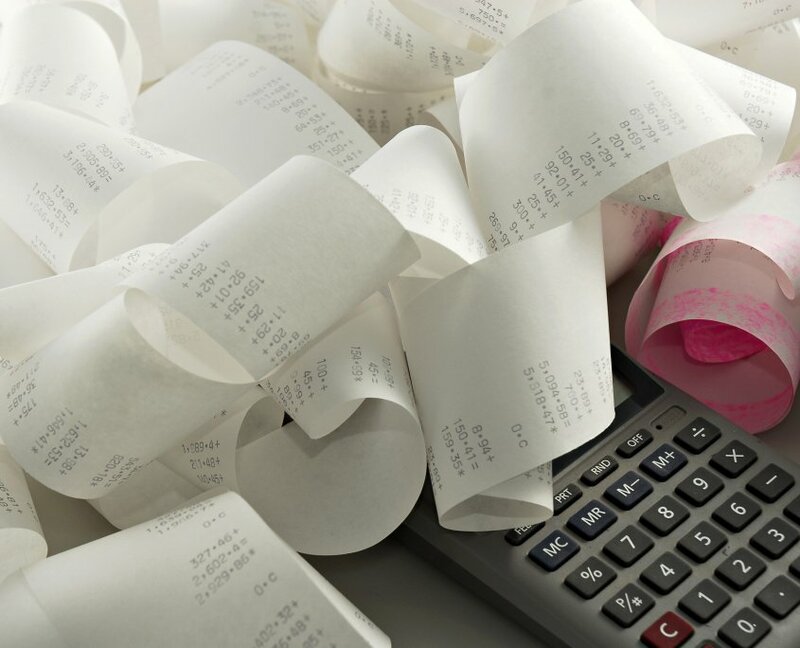 Your expenses came in under budget this year and the company is flourishing. Sounds like the perfect time to sit back and relax, enjoy your success. It’s easy to get complacent when things are going right, but it’s even more important to continually challenge yourself and think critically about your business strategies. Gilson experienced this firsthand with our holiday campaigns. Year after year the campaigns generated double-digit response rates. As marketers, we were ecstatic! But were our results generating new business? Was the return worth the investment? Were we targeting the right people and going after the right results? After a careful analysis of our response rates and ROI, the decision was made to revamp our campaign strategy with a much more targeted approach. If your company is anything like ours, below are fives signs you might benefit from reinventing your marketing strategy in 2019. 1. Your sales team has grown complacent. Nothing has a more direct impact on results than a sales team who’s lost their passion. As our campaigns became more and more popular with our B2B customers and our response rates kept on climbing, the sales team began to think of the campaigns as an added stress rather than an opportunity. 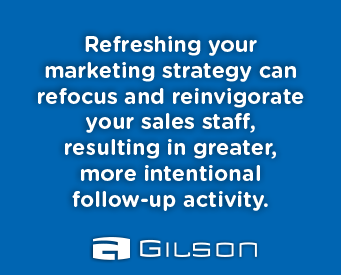 Taking a step back and refreshing your marketing strategy can refocus and reinvigorate your sales staff, resulting in greater, more intentional follow-up activity. We instated smaller, more targeted lists and a more specific call-to-action to help the sales team stay the course. The result was a smaller, more manageable, but also more profitable set of respondents with whom to follow up. 2. Your responses are up, but ROI is down. A double-digit response rate is every marketer’s dream! But at what point do you need to peek behind the curtain and see who is responding to your campaign, and why? During our analysis, we found that our highest response rates were from within some of our best, long-term customers. However, they weren’t necessarily able to fully engage with our call to action, which was geared toward generating new business.. This artificial inflation of our response rates was driving down our ROI. Recognizing that there is value in marketing to our existing customers and rewarding them for their business, we decided to engage them in a customer retention campaign. This enabled our sales staff to more appropriately manage their time between nurturing new leads and managing existing account relationships. 3. Your business goals have changed. When we embarked on our marketing journey nearly six years ago, our focus was on showcasing our breadth of services – from soup to nuts. But now that our service offering was more established amongst our customers, it was time to double down and focus on our corporate growth goals. We were no longer interested in tallying response rates from multiple individuals within one organization. Instead, we were looking for a response from key stakeholders at organizations who not only visited a personalized landing page as a result of the campaign, but also went on to create a username, password, and complete a mini demonstration of our Mindwire® technology tool. If we could earn even a fraction of the responses we did from our original campaigns with this new higher standard of activity, we would be ecstatic (and we were). 4. You know your audience better today than you did yesterday. If you’ve been diligent about tracking your response rates and monitoring which customers engage with you on a regular basis, you’re on the right track towards generating more targeted messaging and yielding more qualified results. We were able to dissect our mailing list according to annual dollar volume trends with each company and identify the most qualified leads at each company to target.. Without a doubt, changing things up every now and again reinvigorates people at every level. When introducing a new campaign strategy, customers are forced out of their comfort zone and asked to engage with you in a more intentional way, instead of just going through the motions. Your sales staff are encouraged by having a more focused approach to follow-ups. And your business is sure to thrive as a result. So before you kick back and relax as you enter into 2019, take a moment to do a little soul searching and see where you could improve your strategy. If you could use a second set of eyes or fresh perspective, give us a call for a complimentary consult and brainstorming session with your team. T’was the month before Christmas, and all through the shop, no elf ink was printed, not even one drop! Gilson’s customers stood by their mailboxes with a glare, wondering when their elves would be there. But no elves would be printed in the Gilson workshop that year. Gilson was spreading a new type of cheer. 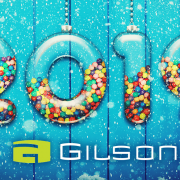 When it comes to getting noticed in a crowded marketplace, Gilson has just the magical mix you need to stand out and grab your customers’ attention–just ask the elves! 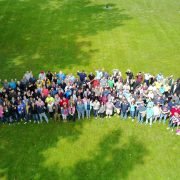 Our most recent marketing campaign began with a fun idea and a couple of pointy ears. 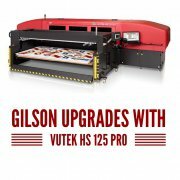 Gilson invited customers and prospects to reduce their holiday frenzy with a small, but particularly eye-catching helper: a customized elf. Expecting an Elf surprise? Things are getting pretty crowded in the Gilson Workshop and we’re on the verge of releasing hundreds of pointy-eared helpers into the holiday landscape! We want to be sure your very own elf is in the pack, ready to boost your business (or at least your mood) with a touch of seasonal magic. It’s a fun and easy way for you to add some holiday cheer to your office, desk, or home! A little box of Christmas magic goes a long way.